The two companies will remain separate and even continue to offer casually competing services, including iTunes Radio and the recently launched Beats Music subscription service. Apple says that Beats’ focus on music is complementary to its own, though it hasn’t gone into detail on how it’ll manage or integrate this first big acquisition. The pending buyout was first revealed by The Financial Times on May 8th. Soon after, Beats co-founder Dr. Dre all but confirmed the deal by appearing in a celebratory video posted (and promptly removed) by Tyrese Gibson. 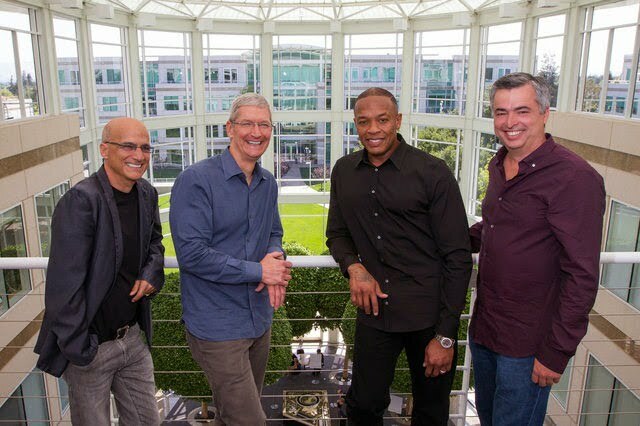 In the clip, Dre described himself as “the first billionaire in hip-hop,” alluding to the massive financial payoff he’s due to receive thanks to Apple’s big buy. Speculation about just what Apple sees in Beats and its leadership has been running rampant ever since the acquisition was publicized. The deal is expected to close by the end of the year and is still subject to regulatory approval. After the deal closes, Iovine will also leave his position as CEO of the music label Interscope, where he’s been in charge for 25 years, according to Billboard.